Viscous and sticky liquids can stop a float switch in its tracks. The NLS is the answer. 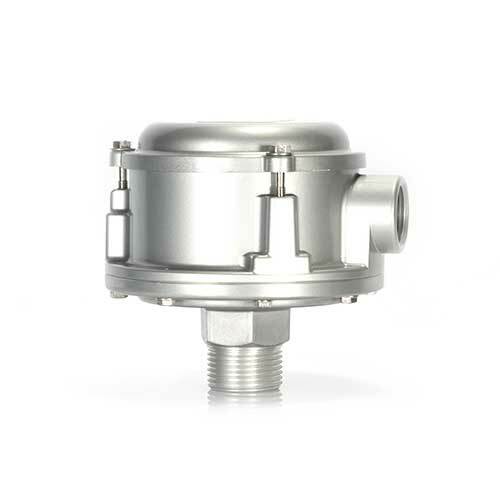 With few moving parts, only a flexing diaphragm, the NLS pneumatic point level sensor lasts long and is very reliable. The NLS requires no power to operate it sensing elements, and provides a dry contact output. Install a ½ in. pipe of your choosing in the bottom of the sensor housing, protruding past the switch point in the tank. The switch point is easily adjusted by your choice in pipe length. Detection Range 8 to 200 in.